Xero Shoes are a treat for your feet that are truly worthy of your consideration. At Comics Grinder, I cover the whole pop culture spectrum, particularly comics, along with an eclectic brew that includes everything from scotch eggs to electric cars. Lately, I’ve been focusing on minimal footwear in order to be as close to the ground, as close to being barefoot as possible. For this review, we shine the spotlight on Xero Shoes. If you are new to minimal footwear, it is really pretty simple. You can enjoy the benefits of walking barefoot (natural posture! natural foot motion!) while wearing something that will provide proper protection. This is definitely a great time to try out Xero Shoes as they have just launched a new line, the Amuri Cloud, that lives up to its name. That is the pair I have to share with you now. First off, the design for all Xero Shoes is impeccable. You just slip your feet in and adjust the straps. 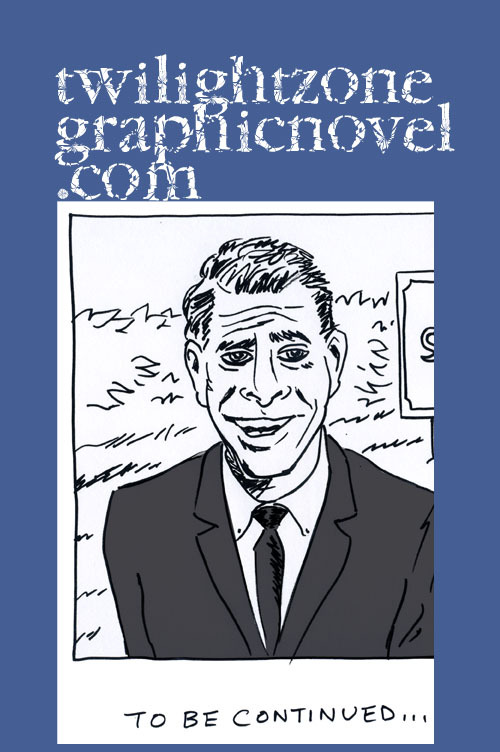 And, if you should need some help, there is a little booklet too. You’ll instantly pick up on the distinctive features of Xero Shoes: the strap system is very easy and provides a perfect sweet spot of snug and the exclusive heal cup will keep your feet nicely in place. What is most remarkable about the Cloud is the instant comfort. The name suggests that they feel like you are walking on clouds and so they do. It is saying a lot when you get that natural smooth fit right from the start. These sandals are lighter than the Amuri Venture and have a footbed with a bit of texture. The key thing to remember is that you’re in minimal footwear so you are very close to the ground. You could think of it as the difference between driving a motorcycle instead of a car. That’s really a great analogy. In a car, you are in a very padded environment (like most shoes) with a false sense of security. On a motorcycle, you are constantly in touch with your senses and the world around you. Have you ever seen someone navigating a motorcycle while zoning out on some texting? The idea is that you WILL feel the pavement under your feet. If you’re used to that, so much the better. If you’re not, then you will get used to it. The great thing about Xero Shoes is that they provide the right platform so that you can walk, or run, down a sidewalk and experience it as if barefoot. In fact, you pretty much are. That’s the whole point. What you want is to be able to enjoy the benefits of walking naturally without even thinking about having shoes on and that is exactly what Xero Shoes achieve. Now, don’t get me wrong, I love all sorts of shoes. I’m not a purist. I appreciate that there are shoes for all occasions. 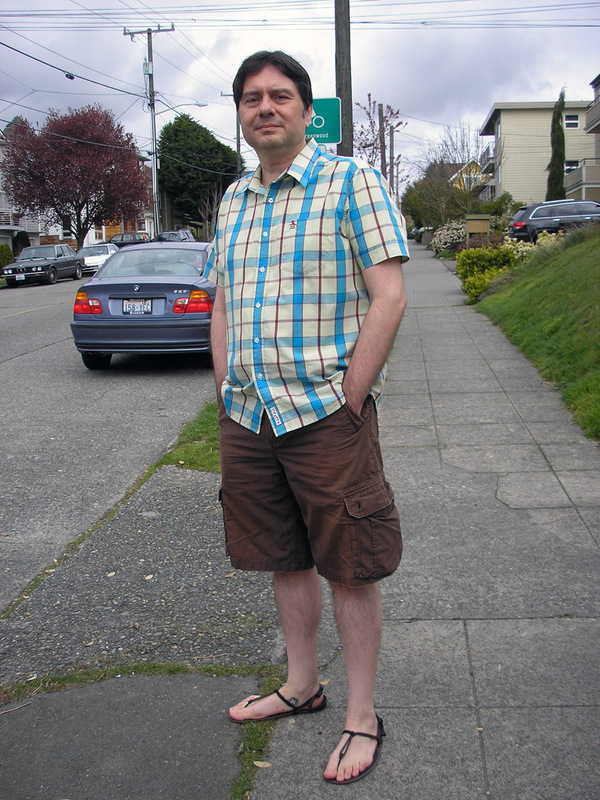 And, among minimal footwear, I think Luna Sandals do a great job (review here). What I like about Xero Shoes is that they provide a distinctive feel and they do what they set out to do. 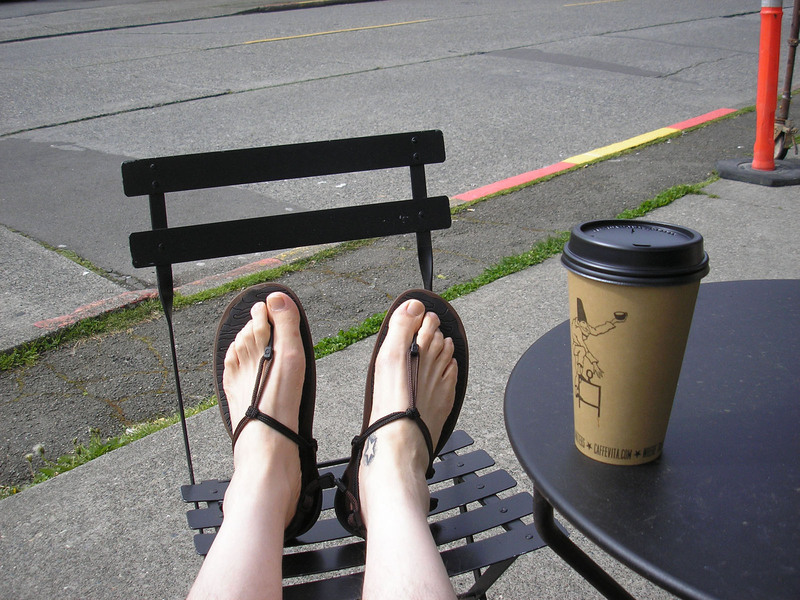 Enjoying a mocha at Caffe Vita in Seattle with my Xero Shoes Amuri Cloud sandals. Also, a very important thing to point out to folks new to minimal footwear, is that minimal does not mean getting calluses. That is simply not true. You WILL get calluses from wearing the wrong kind of shoes but not from minimal footwear. I’ve been wearing minimal sandals for about a year and my feet are just fine. You can see from the photo below, no calluses. Just because you’re low to the ground does not mean your feet cannot be protected. Some people want calluses but that’s another story. 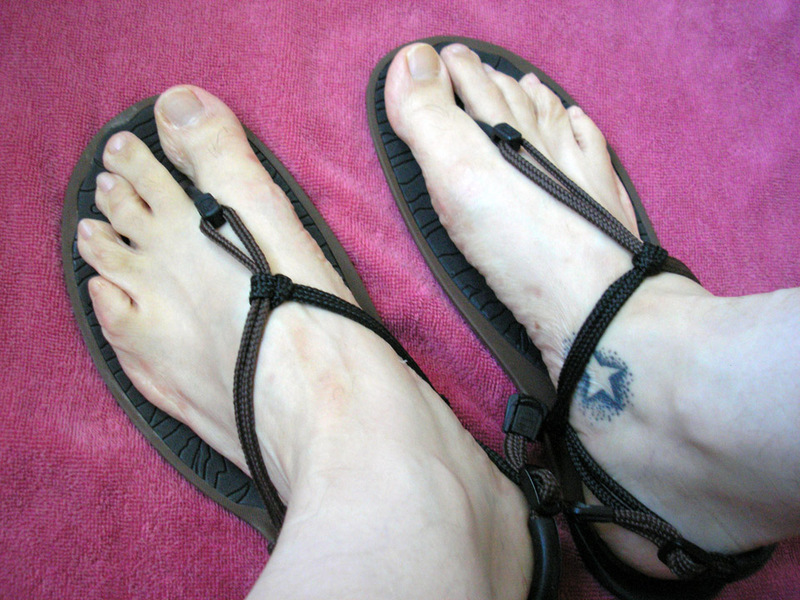 I’ll also add here that Chaco ran a terrific April Fool’s gag where they announced their new minimal sandal which consisted of just a strap around your foot, so that you could work on getting your calluses. Interesting how Chaco chose to play off that misconception. But it was all in good fun. I think Chaco is an excellent brand. And who knows, maybe they will eventually bring out a minimal model. But the much bigger point here is that Xero Shoes are providing a perfect minimal experience and you should check them out! No calluses from walking and running in minimal sandals! Steven Sashen and Lena Phoenix run Xero Shoes. After selling over 30,000 pairs of Xero Shoes to people of all ages in over 87 countries, they remain committed to providing people with the fun and benefits of being barefoot. Just visit the website and you’ll soon find that Steven is passionate about speaking to the health benefits of being barefoot and thrilled to let you know about Xero Shoes. Visit our friends at Xero Shoes here. 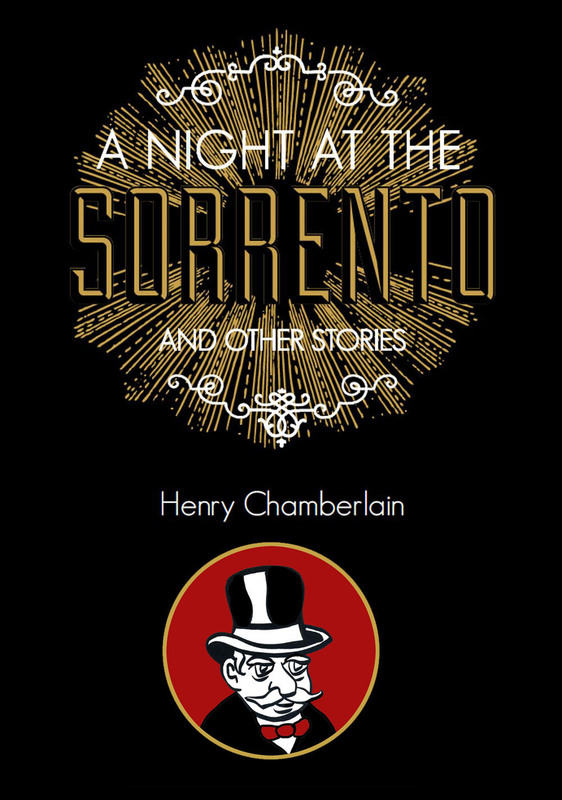 Really good review! I haven’t tried these types of footwear before. I get shin splints while running and I know that the minimalist running shoes don’t work for me. But I could try the sandals. How do they feel under your arches? Thanks! It was fun writing this. They truly feel fine under my arches. Belle, since you get shin splints you might want to check out Chi Running (http://www.chirunning.com/). It’s a technique that emphasizes using gravity to your advantage and using your big muscles to move your legs (quads, glutes, etc.) rather than your calves. I used to get shin splints as well, but they stopped as soon as I started trying Chi Running, as did all of my knee pain. The technique also helps to shift your foot strike in much the same way that minimalist shoes do. As with any change, it takes some getting used to but I’ve been happy with the results. 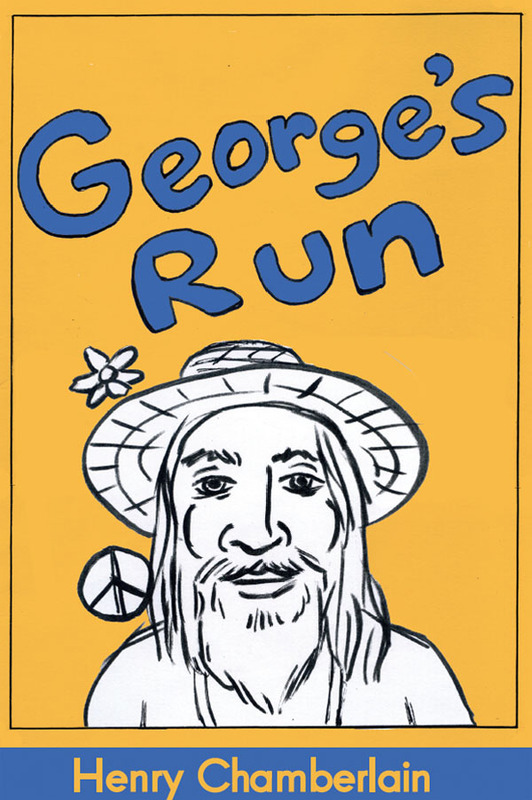 You can visit the Born to Run website here: http://www.chrismcdougall.com/ It’s just great writing and full of helpful insights and information. Thanks for the advice! I’ve only really started running on a regular basis two or three years ago, so any help in proper techniques is greatly appreciated. For now I use stability running shoes, but I’m happy to try new things. Well, in that case, I definitely recommend that you check out Born to Run. Check out some of Christopher McDougall’s videos, like his TED talk on YouTube or just what’s on his website to start. It sounds like it might really help to explore your options. My wife and I are really into minimal footwear too. Good post! Thanks, John! I checked out your photography and I love the theme of stillness and peace. Very cool. Thanks! Yes, it’s one of my favorite spots. I love your response! Yep, nothing better than being barefoot. I guess I’m a natural. Thank you for your kind words and I love compliments about my feet too! Thanks for the tip. I haven’t tried those. Glad you enjoyed the review. I know! That would have made for a perfect post. Minimal sandals do require pedicures. Totally agree.